Efficiency is everything. 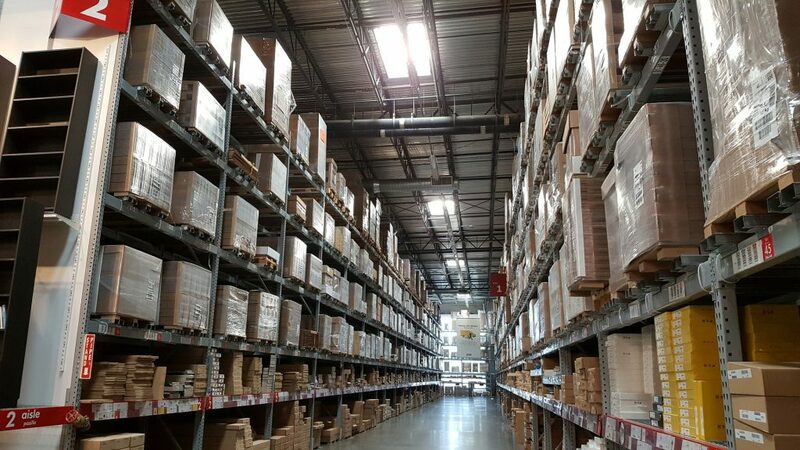 If your warehouse or facility is seeing drops in productivity, then you’re likely feeling the hurt on your bottom line. It’s simple economics — to maximize your revenue, you have to maximize your efficiency. Jobs being held up by malfunctioning machines, workflows with unnecessary steps or confusing layouts are a big miss. For example, according to a study by the Rand Group, 98% of businesses say just one hour of downtime costs over $100,000. Here are some simple steps you can take to improve your efficiency and a solution for minimizing downtime. Your first step should be to take a deep look at your current warehouse setup. Key items kept too far apart or a jumbled layout are not conducive to efficient work. Your equipment could also be installed at the wrong locations or need to be moved from one spot to another to complete essential steps. There can also be inefficiencies built into your processes. Oftentimes these slip into warehouse procedures without anyone ever realizing it, then become old habits that are kept around because “things have always been that way,” even once new technology makes something obsolete. Take a deep look at how your employees go about completing tasks step for step and remove anything that is no longer necessary. Inefficiencies can also rear their head in your digital infrastructure. Your location needs proper backup to ensure that your business minimizes the amount of time you’re unable to do work. If your computer system shuts down, for example, you shouldn’t be thrown for a loss, having to suffer hours of unnecessary downtime while you wait for a provider to fix it. Ensuring you have the right support in place, whether it be an IT team, vendor support or logistics, is an essential step in improving your facility’s efficiency. Another place to look for inefficiencies is in your workforce. While you may not need to make wholesale changes to your team, it’s important to regularly reassess if you’re giving them the tools and information they need to work efficiently and sustainably. Do you dedicate enough time to onboarding new employees? Do you hold regular reminders to reinforce proper usage with systems and key tasks? Is everyone familiar with your various protocols if a computer system goes out? You want your workforce to have the confidence and ability to adapt to whatever is thrown their way. Arm them with the knowledge and training they need to maximize productivity. If your organization knows there is a specific period or periods of the year where demand for your product will be high, then you need to plan accordingly. This might sound obvious, but in the day-to-day rush of striving to meet immediate demand, your longer-term planning might unfortunately fall by the wayside. Resist this temptation. Plan as far out in advance to ensure you have the staff and materials you need for these busy periods. Don’t let them sneak up only to find that your efficiency is going to be severely hampered, leading to missed opportunities. Even after taking all of these steps, however, nothing can slow down your warehouse like subpar equipment. Older machines or even some newer ones that can only handle a few tasks will end up costing your organization in the long run. Here at Dalmec, we manufacture industrial manipulators built to maximize your facility’s efficiency. Our manipulators are carefully designed according to your needs and production processes. We don’t just install wherever you have space; we take the time to carefully analyze your facility, custom engineer a solution and place our manipulator where you need it most. Take, for example, our Stainless Steel Partner Equo. Designed for industries like food, chemical and pharmaceutical manufacturing where cleanliness is essential, this hygienic industrial manipulator allows you to move loads of up to 375 kg quickly and easily. To learn more about this stainless steel manipulator or how our suite of custom-built solutions can help improve your warehouse’s efficiency, contact us here today.